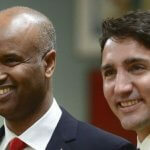 Within the Temporary Resident Visas, there is also a visa which allows organ donors to go to Canada to donate their organs to a Canadian Citizen or Permanent Resident. This article will go through this visa, the requirements, application procedures, and other relevant information. What is the Intending Organ Donors Visa? The demand for organs is very high in every country and there are many sick people who are waiting for a potential transplant or organ donor. That is why countries try to facilitate and help them through allowing donors to go and donate their organs if they want. Because of this, the Canadian Government created the Intending Organ Donors visa. This visa is a Temporary Resident Visa, which means that it allows the person to go to Canada for a short period of time, usually 6 months or less. The person is not allowed to try and get a Canadian citizenship, Canadian issued documents, or Canadian benefits such as social security or health insurance. The person is only allowed to go to Canada and donate an organ to a person who needs it, stay in the hospital for their recovery and then return to their home country. In this case, the hospital stay could be covered by the person receiving the organ or by any other humanitarian organization which facilitates organ donations in Canada. What are the requirements for the Intending Organ Donors Visa? You must prove that you do not plan to work or study in Canada. If these requirements are not met, then the Canadian Consulate will either require more proof or will deny your the visa. How to apply for an Intending Organ Donors Visa? The application process for the Intending Organ Donors Visa has the following steps. To start the application, you must get an eligibility confirmation from the Government of Canada website. When you get to the website, click on the tab Immigration and then Visit. In the site, you will see the link to “Find out if you need a visa”. You must click on this link and answer the questions on the survey. The questionnaire will determine whether you are eligible or not and if you are, it will give you a reference code and instructions to apply. You must save the reference code and then open an account in the same Government of Canada website. You can either open the account through your bank account details or use a Government of Canada login (GCKey). Once you login, you can start your application. Proof of enough medical facilities in your home country in case of medical complications. This is required to ensure that you will not stay in Canada because there is better medical treatment since you cannot go back to your home country due to lack of facilities. Evidence that you will not receive any benefits (financial or otherwise) from giving your organ. If there are any documents that are not in English or French, then you must have them translated and verified by a certified translator. Once you submit all the documents, you can then proceed to submit the application. After that, you will have to pay the visa application fee and your application will be completed. Once you submit your application, it will take around 5 days for it to show up on your account. During the next few weeks, the Canadian Consulate will process the application. If they see it necessary, they will invite you for a visa interview and/or to give your biometric information. If that happens, you must attend the interview at the scheduled time and respond to all the questions truthfully. Once your visa is approved, you will either know it through the notification on your account or the Embassy officials will let you know once your interview is over. Either way, you will have to submit your passport for processing and stamping. If you are not at the Embassy, you will have to mail your passport with the processing fees and also pay for a return envelope. If you are at the Embassy when you finish the interview, you can just give them your passport and pay the fees there. The Embassy officials will stamp your passport and will return it to you. From that point forward, you can make travel arrangements to donate your organ in Canada. 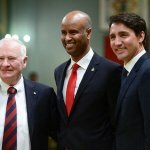 If the Canadian Consulate finds that you are inadmissible for the Intending Organ Donor Visa, they might give you a Temporary Resident Permit on the basis of humanitarian reasons, so you can go to Canada only to give your organ and recover and then return immediately even if that period if less than 6 months. What are the fees for this visa? 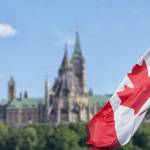 The application fee for the Intending Organ Donor Visa is CAD$100 and if you have to give biometric information, you will have to pay an additional CAD$85. When your visa is approved, you will also have to pay around CAD$45 for the passport processing. 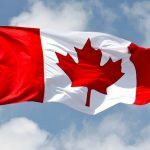 How long is the processing time for the Canada Organ Donors Visa? To process this visa, the Canadian Consulate might take from 1 week to 5 or 6 weeks depending on their workload and the evidence you submitted. If they ask for additional evidence or organ transplant, then the processing will take longer. That is why it is important to start the application process the moment you decide you want to donate an organ to someone in Canada and you have enough documents to prove it. What is the validity for this visa? The validity period of the Intending Organ Donors Visa is 6 months or less. The visa might be given for a longer period of time, but you are not allowed to stay for more than 6 months. If you need to stay for more, then you can extend it by submitting proof to the Consulate that you need to stay because your recovery is not yet completed. Can I bring my dependents to Canada with this visa? Since this is a Temporary Resident Visa, then you cannot bring your family with you only with this visa. Family are your common-law partner, spouse, and minor children. They must apply for a Visitor Visa if they want to accompany you, but you can submit your applications together and be processed as a family instead of individually.